Menopause. Hair thinning and hair loss are the main companions of the women who have entered menopause. Specialists usually explain this phenomena with sever hormonal shifts which occur in woman’s body during menopause. Do not get too frightened if you experience menopause-linked hair loss: it is considered quite a normal thing. Psychological traumas and stresses. These are among the leading causes of hair loss. Researches have shown that stresses make our hair enter its resting stage, and supported by nutritional deficiencies, hair starts getting weak and falling out. Anorexia and too rapid weight loss. The experts at the American Academy of Dermatology warn that weight loss over 15 pounds can cause hair loss. Also, there are very strong connections found between anorexia and hair loss, mainly due to a lack of essential nutrients in the body. Improper nutrition. Nutrition deficiencies are among the main reasons for hair loss. The most common types of nutrition deficiencies which lead to hair loss include iron deficiency, zinc deficiency and protein deficiency. A lack of proteins in the body causes inability of hair shafts to grow and develop properly. Once we adjust our diet to the nutritional needs of our hair, our hair health usuall improve in 2-3 months. Taking certain medications. Hair loss is quite a common side effect of a great deal of medications like antidepressants, blood pressure medications, birth control pills and so on. Careless hair care. Those why dye or bleach their hair too often are way more prone to hair loss than those who do not do so. Also, such factors as daily usage of hair driers, curling irons or hair straighteners contribute greatly to hair loss in many modern women. Too tight hairstyles. This is especially common reason for hair loss among African Americans who like using weaves, tight braids and other hairstyles. 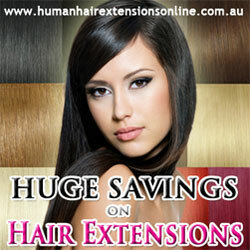 As a result, constant pulling and pushing the hair leads to severe hair loss. Specialists suggest that any type of hairstyle which causes pain in scalp should be strictly avoided. Thyroid disorders. Normal function of thyroid is a must for great health, specialist say. Trichotillomania. This is one of the most common impulse control disorders which occurs in many people. Those who suffer from this disorder can not properly control their movements and tend to pull or break own hair. As many as 4 percent of modern Americans are affected by this disorder, and its causes are still unknown. It was found out that men are more likely to suffer from this disorder than women.